– Why do we have eggs at Easter? – Why do we want to symbolise birth? – To celebrate Spring and its associations, as well as the death and re-birth of Jesus Christ. So it’s a shame that a holiday celebrating this belief (which even secular people can consider and benefit from) has been marked by an event that encapsulates its antithesis. 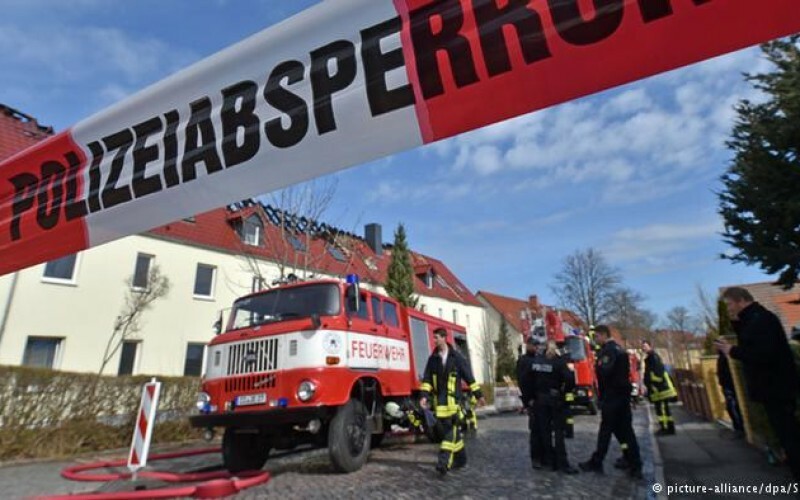 Al-Jazeera has reported that a house built for asylum-seekers in the town of Troeglitz (Sachsen-Anhalt) has been burnt down before opening. So, let’s not ask whether the arsonist (and the police do believe it’s a case of arson) was without sin, let’s ask why this is happening. Pegida has emboldened reactionaries all across Germany, but particularly in the Sachsen heartland. Not only will the arsonist have derived confidence from Pegida, seeing that is gaining mainstream attention, it may be that the actions of the arsonist will be seen as a victory for the movement by its supporters; after all, it’s a movement predicated on the belief that German citizens are being displaced by non-Germans (particularly Muslims), so any visible accommodation of non-Germans (particularly non-white people) will be seen as a threat by Pegida. What’s more, the attack echoes a recent attack on an art installation in support of refugees in Berlin. We risk becoming a continent of narrow-minded people, unable to perceive one another’s basic humanity and human rights when we see others as threats, or ‘foreigners’, somehow essentially and irrevocably different from us. Needless, to say, Jesus wouldn’t think we were doing a good job of showing love to our neighbours.